State law requires that each county have a Behavioral Health Board or Commission. The Board of Supervisors appoints members for three-year terms. Board members advise the Board of Supervisors and the Behavioral Health Director on various aspects of local Behavioral health programs. Review and evaluate the community's mental health needs, services, facilities and special programs. Review any county agreements entered into pursuant to W&I Code Section 5650. 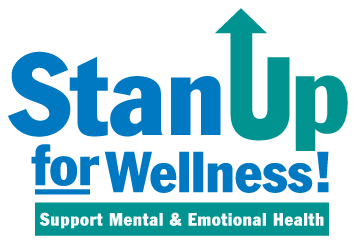 Advise the Board of Supervisors and the local Behavioral Health Director regarding any aspects of the local mental health programs. Submit an annual report to the Board of Supervisors on the needs and performance of the county's mental health system. Review and make recommendations on applicants for the appointment of the local mental health director. The Board shall be included in the selection process prior to the vote of the governing body. Review and comment on the county's performance outcome data and communicate its findings to the State Mental Health Planning Council. Assess the impact of the realignment of services from the state to the county on services delivered to clients and on the local community. The Board of Supervisors may transfer additional duties or authority to the Behavioral Health Board. Provide oversight and work in partnership with the staff of the County Behavioral Health Department. Interested in Serving on the Behavioral Health Board?